Get up-to-speed with the tax issues that matter to your business – and your clients – at this our annual Practical Tax Conference. Our wide range of expert speakers including Rebecca Benneyworth, Peter Rayney, David Heaton, Paul Aplin and Carl Bayley will share their insights and expertise. It’s a great chance to learn all about the latest developments and connect with other tax professionals. 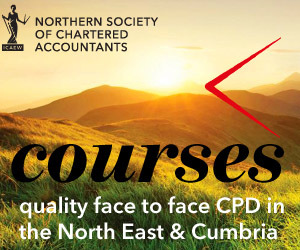 Whether you’re a general practitioner or a tax specialist, this two-day residential conference offers plenty of updates to help you reach your CPD goals. As always, this year’s programme is packed with talks designed with small and medium-sized practices in mind. Many of the topics have been developed based on the feedback of past delegates, so everything on the agenda offers practical insights that will really benefit your business. In addition to the formal talks, the conference is a great opportunity to connect with fellow practitioners, compare notes, exchange ideas and share experiences in a relaxed environment. There’s also the chance to chat with our speakers on a one-to-one basis. Brilliant and innovatively presented, appropriate and interesting – back next year. Excellent course and nice to interact. The course delivered everything I anticipated and much more! Next year is already in my diary to ensure I can come and enjoy. Really beneficial, learned a lot in the day. Nice to see everyone. * There is a reduced rate for early bird bookings if booked by 31 July 2014. Please check the booking form for details. Where accommodation is required an extra amount is payable in addition to the conference price. When booking, select the accommodation required and ICAEW will reserve your requested room type but please note payment for any residential accommodation will be taken by the hotel on departure. Those booking to attend as a single delegate may take advantage of a VAT inclusive, special partner rate of £20 this includes evening meal and the quiz on Friday evening. The £35 charge payable to the hotel on departure will cover bed and breakfast. Children/dogs can be accommodated; please contact Alison Tait to arrange. Residential conference rates include all lectures, meals, refreshments and the quiz on Friday night. Non-residential rate includes all lectures refreshments and lunch on Friday and Saturday. Delegates may extend their weekend to include accommodation on Thursday and/or Saturday evening. Please contact Alison Tait who will confirm availability with the hotel. David is the author of CCH’s NIC annual and a contributor to Tolley’s Taxwise and Tax Planning annuals on employment tax issues. Now based in Wiltshire, he writes and lectures widely, and advises businesses and practices of all sizes on PAYE, NIC and employee benefit matters, including status and intermediary issues, share schemes and associated valuations, and expatriate tax and social security. He also advises on complex tax investigations, disclosures and settlements, especially covering remuneration schemes. Heather deals primarily with tax and estate planning for individuals, trusts and family businesses. She advises on the use of onshore and offshore trusts for asset protection, succession planning, and as part of tax-efficient structures. She also advises family businesses on tax planning for disposal and succession, and advises private clients on the tax aspects of land transactions, heritage property and maintenance funds. Peter Rayney now practises as an independent tax consultant, advising owner managed companies, accountants, lawyers and tax practitioners on various tax issues. He was previously with BDO for nearly 20 years and during the last five years he was BDO’s National Tax Technical Partner. Peter chairs the ICAEW Tax Faculty’s SME Business Tax Committee.